Your Well-Being Begins With Oral Health. Our Dental Hygiene Care is Focused in That Context. It's what tells people if you are healthy and concious of maintaining good health. Healthy gums, white teeth, attractive teeth and good breath are indicators of our overall well-being. As a patient at Wildrose Dental Hygiene Centre, you can be assured that your overall health and wellness is of utmost importance to us. If you have questions about your oral health and its impact on your general health, please call our Canmore office at 403.609.9555, email us at admin@wildrosedentalhygiene.ca to schedule a consultation. 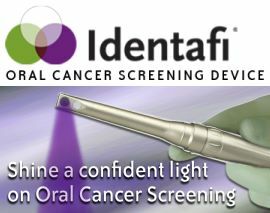 Wildrose Dental Hygiene Centre now possesses the technology to detect oral cancer earlier thanks to our new, state-of-the-art Identafi® system. Incorporating Identafi® technology into our dental hygiene services allows us to more effectively identify changes in cells of the mouth, throat, tongue and tonsils. 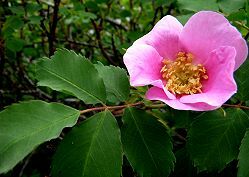 Copyright © 2011 Wildrose Dental Hygiene Centre. All Rights Reserved.